Fall is a great time of year to complete home improvement projects that ensure a house is ready for the winter months. Fall is a great time of year to perform important home improvement. And we have some great home improvement tips. Autumn creates plenty of predictable yard work, such as raking leaves and cleaning gutters. However, there are a number of chores that are less obvious but just as important in order to get a house in tip-top shape before winter and to protect your family’s health. Walk and caulk – Reducing energy bills, preventing drafts and keeping critters out of the house in the winter starts with a fresh bead of caulk around windows, siding and joints. Before it gets too cold, stroll around the entire exterior of the home and seal any potential air leaks. Maintain paths and walkways – Even if your walkway looks safe now, it will turn treacherous when you add slush and ice this winter. Take a weekend to even out brick pavers or repair concrete. Wash your home – Many homeowners don’t realize how dirty their house can get. Even the best siding won’t shed all the dust, dirt and rain that a house is constantly exposed to. While some synthetic sidings don’t hold paint, they can be given a face lift with a power washer. 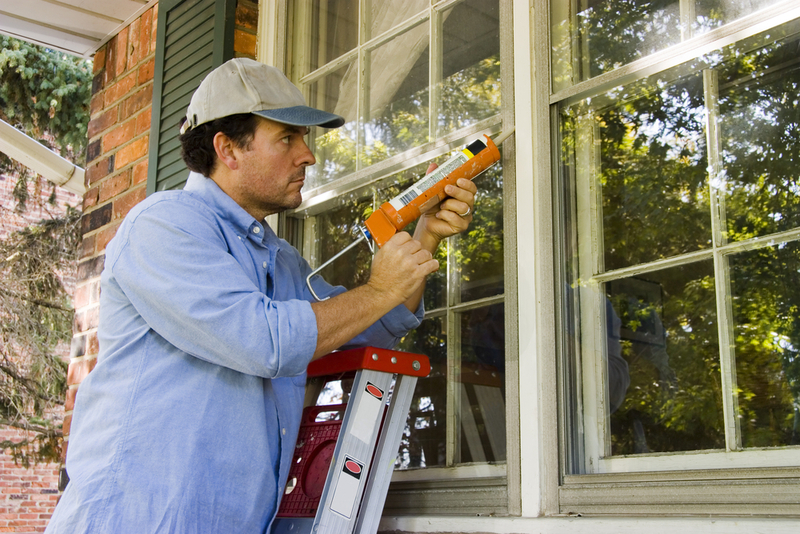 Of course, no fall home maintenance checklist is complete without ensuring the inside is safe. Here are a few home improvement tips that you can make to save money and improve health and comfort. Cover windows – If your home has older windows, they could be a significant source of heat loss. While installing new windows is the best solution, using plastic to insulate drafty, single-pane windows can save considerable money and is a worthy fall home improvement. Improve humidity control – Heating your home this winter is bound to dry out the air. This leads to sore throats, bloody noses and even a greater chance of upper respiratory illnesses. Help protect your family’s health and comfort this winter with a whole-home humidifier. Improve air purity and freshness – When fall begins, it’s usually time to replace air cleaner filters. A whole-home air purifier can also trap fall allergens, bacteria and viruses, helping to keep families healthy all year round. Proper whole-home ventilation can also improve air quality by removing harmful air pollutants such formaldehyde, carbon monoxide and many volatile organic compounds (VOCs).